This is a very exclusive look at “The Ball Press.” “The Ball Press” is a defensive system that can be used to cause your opponent untold hardships regardless of the talent you have on hand. It is a defensive system for that will serve you well for a game, a season, or a lifetime. Press without giving up the easy layup. Cause confusion on the part of the opponents. Learn the secrets of this awesome defense. Learn why teams have become instant winners after employing “The Ball Press.” “The Ball Press” is the great equalizer in the game of basketball! 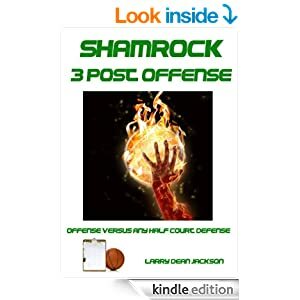 This entry was posted in BOOKS, Defense, Pressure Defense, Zone Defense and tagged ball press defense, basketball defense, coaching basketball, zone defense on April 3, 2014 by admin.